Stave House Testimonials - Everybody is Raving About Our Method! We love hearing from all of our parents, happy pupils and teachers alike. 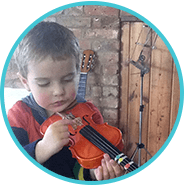 In my many years of working in music education, I have had experience of all the best known systems for music learning with very young children. I can truthfully, and enthusiastically, say that Stave House is the most impressive of all. Here are some of the reasons: children love the content and the wonderful materials; it is a comprehensive and integrate learning system, which starts at the beginning, and extends upwards in a seamless manner; it teaches notation, sight reading and playing, encourages creativity, and unites performance with musical literacy. Overall, it enables children to have access to the language of music, something they will use throughout their lives. Professor John Howard, Director of Examinations LCM.BA PhD. 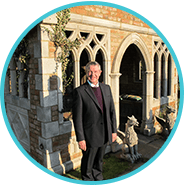 “Senior Examiner for the London College of Music Elaine Smith hosted a Stave house workshop for 10 colleagues in Norfolk after being so impressed with the sight reading skills of the Stave House trained children she examined for LCM grades summer 2013. We would like to pass on our enormous thanks to Ruth for completely transforming our daughters’ love of music. Having had four years of traditional piano lessons she hated practicing and never played the piano for fun. The first time she had a lesson with Ruth was the first time we had seen her smile whilst playing the piano, it was a joy to watch and to see her getting up early so she can spend an hour playing her piano before school is a complete revelation. The Stave House method is the perfect way to teach children to love and understand music. The children absolutely love learning music now that we are using Stave House! What is more impressive teacher’s feel that they can teach music in an engaging and creative way. The progress the children have made in a short time is remarkable – children in Key Stage 1 love Ferdie and his friends; this has enabled them to begin to read sheet music and play music independently and collaboratively as a class. The way the Stave House method simplifies the way of learning music has me drawn to wanting to learn how to read, write and play music, which was something that I’ve never thought was for me though I involve music with my bible study class, my dance class and our praise and worship at church. I now want to encourage everyone who works with music or has no clue about the music world to get into it. Stave House pupils presented a concert on Wednesday to KS2 and some parents. Stave House do a fantastic job to provide such a rich musical education for our pupils, from FS all the way to our Grade 4 Violinists who have both achieved distinction very recently. Thank you so much for Saturday it was great fun and I really love your style of Teaching. I have gained inspiration and a new approach to PRACTICAL music theory . It has been great to see someone appraoch ,develop and disseminate materials that can be used across the school age range and beyond . Thank you for all your hard work Ruth ! Thank you so much for inviting me to the course I meant it when I said I had gained enthusiasm from the course. I have been teaching it today at Westley, and although they are year 6 I thought it went well. Good to meet other teachers too. This course has more than met my expectations . I have learnt so much more about music theory and how to apply it . Ruth’s enthusiasm is so inspiring and infectious. This course has exceeded my expectations . It was inspiring. interactive and fun . very refreshing and excited to start working with the Stave House materials .I have gained insight into interactive teaching working with various levels of understanding and the alto clef ! An excellent starting point for my own Music teaching journey . as soon as possible . I have gained excitement and enthusiasm from this course and the ability to read alto clef ! I also enjoyed meeting other tutors. This course surpassed my expectations .It was enthusiastic and well delivered and the content all makes sense . Anne Sheehan – Principle AS Music School Sheffield . This course has given me a further understanding of games and exercises that I can use to link the clefs and how to use the Stave House world for complex music theory . Stave House is a brilliant and comprehensive way of making music reading accessible and fun . 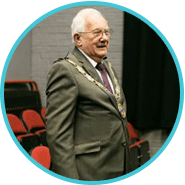 I have seen how Stave House can be used long into a child’s music education and how it will enable them to be confident young musicians . 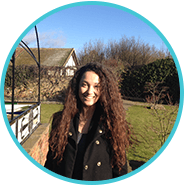 “Just wanted to message you to say how great the training was today and how inspired I feel. Sang along with the cd in the horrendous traffic on the way home. My daughter, who shows no interest in a standard piano lesson (much to my frustration) sat with me to sing the first two songs, used the board (LOVED the board) and after 30 minutes is naming all the note sounds for F A C and E plus D and can find D on the piano without help and play the “Dunston the Dragon” rhythm – I’m amazed. She has also been going around singing “Amos the Ant” – how fantastic. 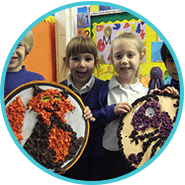 “Just wanted to let you know we have started using our Stave House resources in school. I have taught a couple of lessons so far with my Year 3/4 class and with our Year 4/5 class. They absolutely love the resources and the Year 4/5 children have been writing simple four or five note melodies using the characters and then translating these to a stave they have drawn themselves on paper. My Year 3/4 class are making their own ‘Stave House’ tactile display for the wall, using your characters they have drawn themselves, that they can move around using blue tac on their own stave. I am planning to teach it to Year 5/6 after half term and they are going to plan how they would teach it to Reception and Year 1 children. The Stave House method is very helpful in assisting understanding in music theory. I had studied a bit of music theory some years before I was introduced to Stave House and had not held on to what I learned because it seemed boring and complicated. Stave House makes it easier and more fun, making it more appealing for anybody who would like to study or play music. After studying the Stave House Method I have found it better and simpler to understand than other methods of teaching music. It seems less complicated and easier to remember. I would suggest Stave House to anybody who wants to learn music. Such an accessible system to teach Music notation and rhythm. Fun and engaging for even the very young children. I am excited that Stave House will be used in our school. Thank you very much. This method is an inspirational way for people to teach music. It makes the teaching of theory fun too! “David was brain-damaged at birth. As a result, he can be impulsive and finds it hard to concentrate. His mum is a deeply musical lady and a past student of mine, who was committed to helping her son through music. 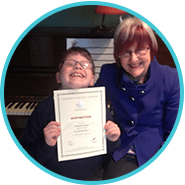 David started piano lessons with me at the age of six, using a traditional tutor, his mum committed to helping him at home, but we both knew progress might be slow. It was! Around half way through the book, we had reached a ceiling. David was unengaged, lessons were hard work despite my best efforts, and lessons were starting to be missed. Then I read about the Stave House method in the LCM’s magazine Forte, and saw a way forward, with the board, the songs and touchy-feely characters. I rang Ruth and Russell Travers who were extremely helpful, and to cut a long story short, I started David with the first song, with magnetic characters to match. He was engaged immediately, and to cut another long story short, has never looked back! Recently he gained his Level One award, and this has energised him enormously, as you can see from the picture.